Without raising the question as to whether he was aware of the fact or not, it can he definitely stated that Inder Rackway was a marked man from the moment he disembarked from the S.S. Cadonia at Southampton, and took his seat in the bout-train that was waiting to convey him and his fellow-passengers to London. The train was not the only thing that had been waiting for the Cadonia to berth, after her long voyage from Australia. 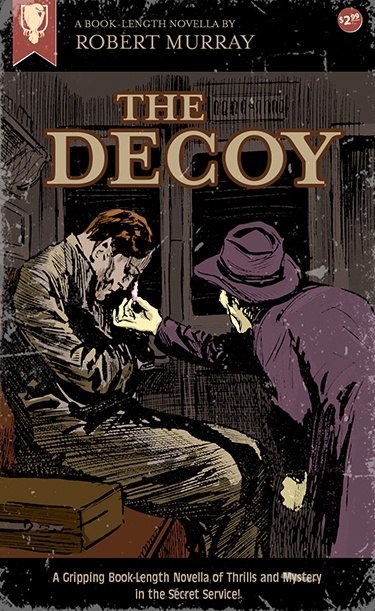 Certain officials at Scotland Yard were not altogether disinterested in the movements of Mr. Inder Rackway, and Inspector Wool, of the Special Branch of the C.I.D., was one of them. Several hours after the Cadonia had left Melbourne, and set their course for the British Isles, Inspector Wool was handed a decoded cablegram that had been dispatched by the head of the Melbourne police. The story continues … buy it today and find out why the Inspector Wool is tasked to keep tabs on the mysterious Rackway!